Bitcoin continues its march into the mainstream with yet another big name thinking the crypto-currency is worth its attention. This time, however, it's not a retailer agreeing to accept Bitcoin, but Google integrating Bitcoin into its instant answers. 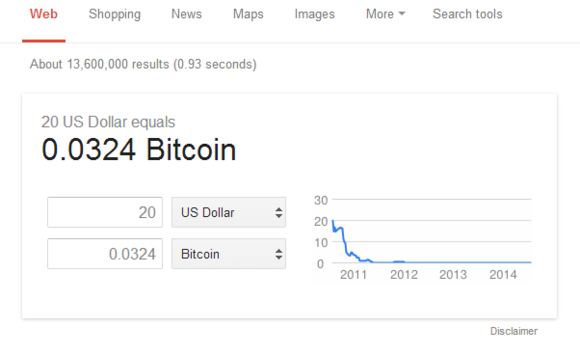 Google is now supplying Bitcoin exchange rates. Google is yet another large organization to support Bitcoin in some manner. The search giant has yet to accept Bitcoin as a payment method through its online stores such as Google Play, but other retailers are lining up to accept Bitcoin. The most recent online shop was Newegg, which began accepting Bitcoin earlier in July. 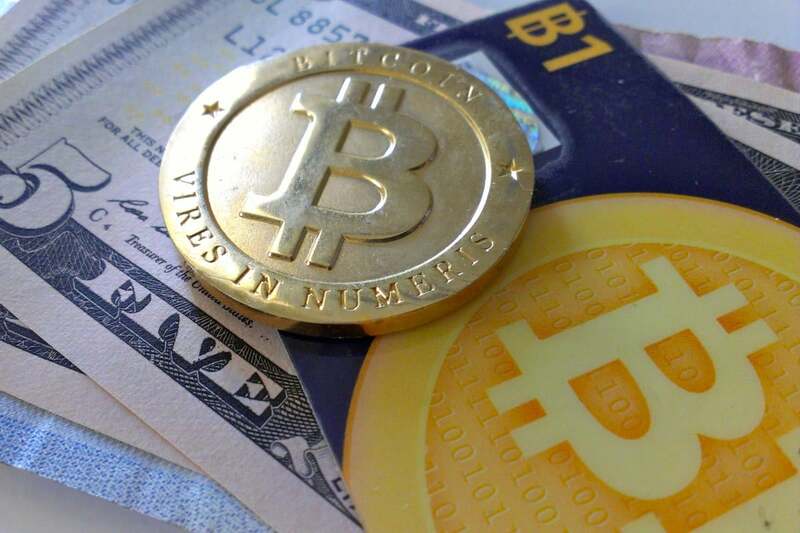 Other prominent companies such as Dish, Expedia, Overstock, and TigerDirect are also taking Bitcoin payments. In late January, online finance management service Mint.com allowed its users to add their Bitcoin stash to their investment portfolios. Meanwhile, the Internal Revenue Service said in March that it would tax Bitcoin as property and not currency. More recently, the State of California removed a ban against alternative payment methods, giving Bitcoin and other virtual currencies a legitimate entry into America's largest regional economy. But not everyone is sure what to make of Bitcoin. The European Banking Authority is still figuring out how to deal with the virtual currency, and only recently Russia softened up on its Bitcoin crackdown.